A Supreme Court Bench comprising of Justice A.K. Sikri and Justice U.U. Lalit yesterday expressed its unwillingness to re-conduct the All India Pre-Medical Test (AIPMT), in the wake of large scale alleged irregularities. The Court, once again, urged the Haryana Police to accelerate its investigation, so as to track down the beneficiaries. Haryana Police informed the Court that the investigation has made progress; however, the key player Roop Singh Dangi was still at large. Additional Solicitor General Maninder Singh reminded the Court that the entire probe might take months to reach an end. The Bench rejected the contention that delay in conducting the re-examination pose large scale ramifications on the admission process. It stuck to its belief that if the beneficiaries of the irregularities are identified, then there would be no need for conducting the re-examination. The investigating officer informed that Court that the police have identified the outlet from where 72 SIM cards of three different telecom service providers were procured by submitting documents of fake identities. The case will now be heard on June 3. Last week, the Court had said that conducting a re-examination would be a measure of “last resort”. Read the LiveLaw story here. Earlier, the Court had issued notices to the Centre, the Central Board of Secondary Education (CBSE), Medical Council of India and Haryana. The petitions, filed by Tanya Sarwal, through Advocate Prashant Bhushan, allege large scale irregularities in the examination. It says that the investigation carried out by the Special Investigation Team of Haryana into alleged leak of answer keys has revealed that the accused gang operated in different states including Bihar, Uttar Pradesh and Rajasthan. It claims that at least 90 leaked answer keys were transmitted to candidates in consideration of Rs 15-20 lakh. “There were specially designed jackets and vests purchased from Delhi which contained SIM cards and Bluetooth ear pieces” and according to police the “modus operandi of the gang resembles the one adopted in the alleged leaking of the AIIMS PG entrance exam paper in 2012″. 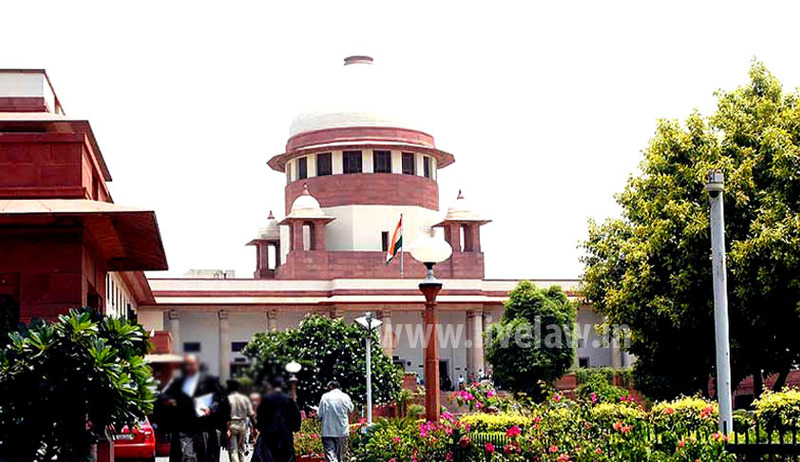 It therefore prays, “Issue appropriate writ directing the respondent no 1 (CBSE) to forthwith re-conduct the AIPMT examination 2015-16 in order to meet time schedule as provided in the regulations on Graduate Medical Education, framed by the MCI under the Indian Medical Council Act.” Read the LiveLaw story here.